Regional Australia is a great place to grow up, live, work, raise a family and retire. On the coast and in the country, we have the most beautiful natural environment, fresh air, friendly people and a better quality of life. Our unique regional life must be protected for future generations to enjoy. We want our communities to thrive but regional population growth must be managed to make sure that our quality of life and the way we live is protected. Services and infrastructure that support our community mustn’t be allowed to deteriorate. We need to meet the challenges of a changing climate in a sensible way that protects our natural environment and sustainability but doesn’t throw out our way of life, local jobs and industries. Through investing in technology, world leading management practices, renewable energy and practical action we are working to tackle climate change and help our natural environment to safely coexist with industries such as agriculture and resources. Looking after the environment starts locally, and we want to empower communities to take practical action to protect our natural environment. We want our agricultural sector to continue to grow and build resilience and sustainability in a changing environment. Making sure water resources are strengthened and preserved through innovation and infrastructure and supporting sustainable and clean, green practices. Regional Australia is built on strong local communities. 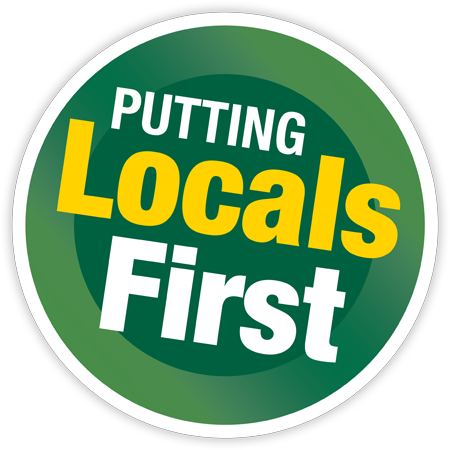 Through empowering local communities, we need to work together to make sure local interests are put first by supporting local businesses, shopping locally and looking out for each other. Providing drought support to communities and farmers with $3.9 billion to the Future Drought Fund, $50 million to the On-Farm Emergency Water Infrastructure Rebate Scheme. $34 million for a new Agriculture Biodiversity Stewardship Program to help farmers boost on-farm agriculture practices to support biodiversity. $100 million to establish the Environment Protection Fund to provide grants for on-ground restoration and protection projects focusing on threatened species, waste reduction and other environmental issues. $28.3 million for a new Communities Environment Program, providing $150,000 to each electorate for community led environment projects. Protecting our local way of life for future generations.